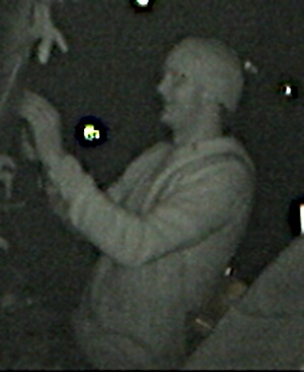 StephenFranks.co.nz » Blog Archive » Do You Know These Vandals? 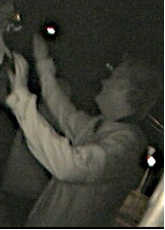 These vandals were captured by our infra-red camera destroying one of our election hoardings with a box knife 11 days ago. Do you know them? I would have overlooked some of the more clever ‘art’ on the signs. Indeed some of the early indelible pen work was so good I did not like to see it cleaned off. But the thuggish destruction is chewing up the donations and voluntary effort of people of all parties. Prosecution is needed. It is time for the Police to be involved. Vandalism of $1000 per week may be routine for some of our long-suffering property owners. The Police may be weary of finding minor offenders then seeing them recycled immediately because our youth justice system favours feeble excuses, but the public is sick of it. We have been able to keep replacing the signs, but I know that smaller parties are actually having their message successfully suppressed. The money for every political party comes from generous individuals who want to see changes in New Zealand, whatever their political persuasion. We plan to catch these political thugs who don’t like free speech or opinions different from their own. If the Police choose not to treat it seriously there is always private prosecution. The boys below* were in a separate group disturbed defacing one of our hoardings last weekend, followed and photographed. Do you know who they are? If you know them, please warn their parents. This is just over the top and getting out of hand. Do you really have proof that the boys in the last 3 photos did any damage? Things like this happen every year so me and many of my work companions don’t see what the big deal is. 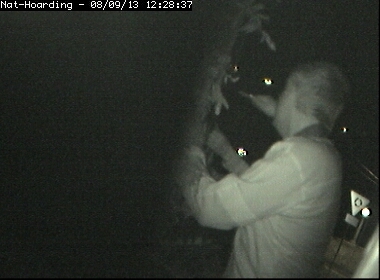 Putting in infared cameras is going to cost you alot more than just replacing the signs. Stephen needs to worry about more important things that mean more to the rest of the country. By the time the elections are over no one is going to care about this vandalism and Franks will’ve wished he’d worried about more important things. I am the mother of one of the boys posing happily in the photo above. He and his friend have fronted up to Stephen Franks today, apologised and will help in the mending and cleaning of signs in the area. Wilful damage to another’s property is an offence. They consider themselves lucky to have avoided a legal consequence. Being a teenager is no reason to dismiss the behaviour. He has fronted up, owned his actions, initiated a consequence and hopefully learnt a lesson. Thanks Stephen for the meeting and your understanding. Why would you stnad and have your photo taken if you knew you they had seen you and trying to snap you? Those three that got taken off have gotta be straight. I have no time for the apologists for these vandals. People with no respect for either democracy or for other people’s property. I will vote for people who are prepared to hold teenagers acountable for their actions, knowing that at the least it saves our country money and at most it may deter a vulnerable teen from continuing to a life as a criminal loser.